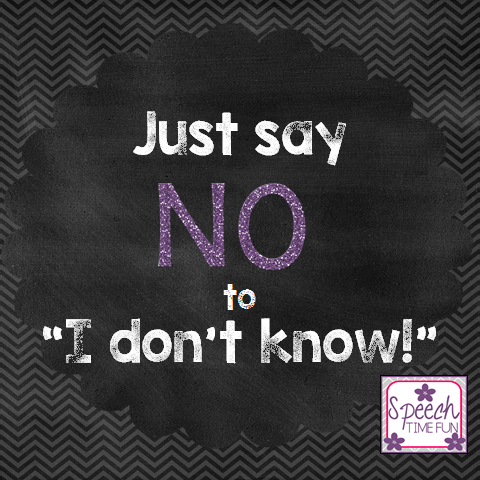 Speechie Freebies: Just Say NO to I Don't Know! 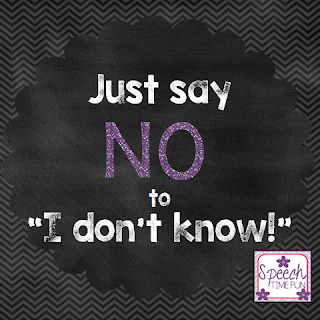 Looking for ways to encourage students to ask for help, repetition, and processing time? Here is a poster for you to display in your therapy rooms! Click HERE to learn more about and grab it FREE!